Place cubed pumpkins, chopped onions and leek on the tray and drizzle with olive oil. Sprinkle salt and black pepper and toss. Roast in the oven for 15-20 minutes or until the pumpkin is soft and cooked through. Meanwhile, bring the vegetable stock to a boil. In a large heatproof bowl, mix couscous, raisin, allspice, nutmeg, paprika, cayenne and a pinch of salt. Pour the boiling vegetable stock into the bowl of couscous mixture and cover with a lid and let stand for 15 minutes, or until the liquids are absorbed. 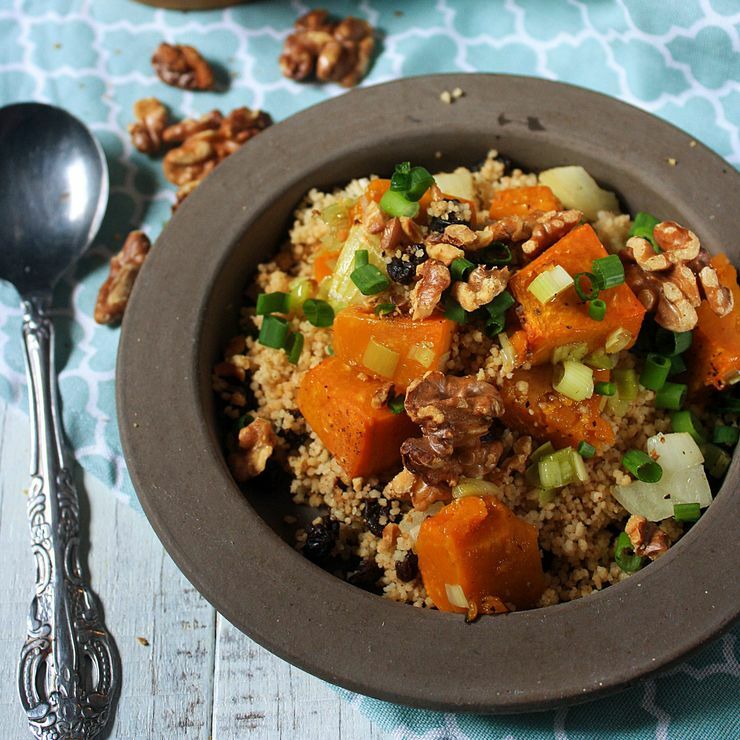 Fluff up the couscous with a fork. 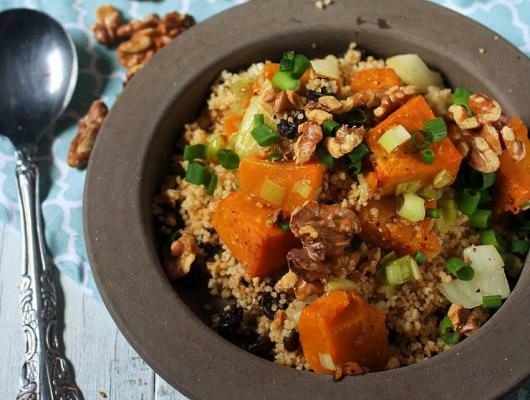 To serve, mix together couscous and roasted pumpkin.